Join Fleet Feet Sports Vacaville & Team Vacaville for a FREE benefit run. 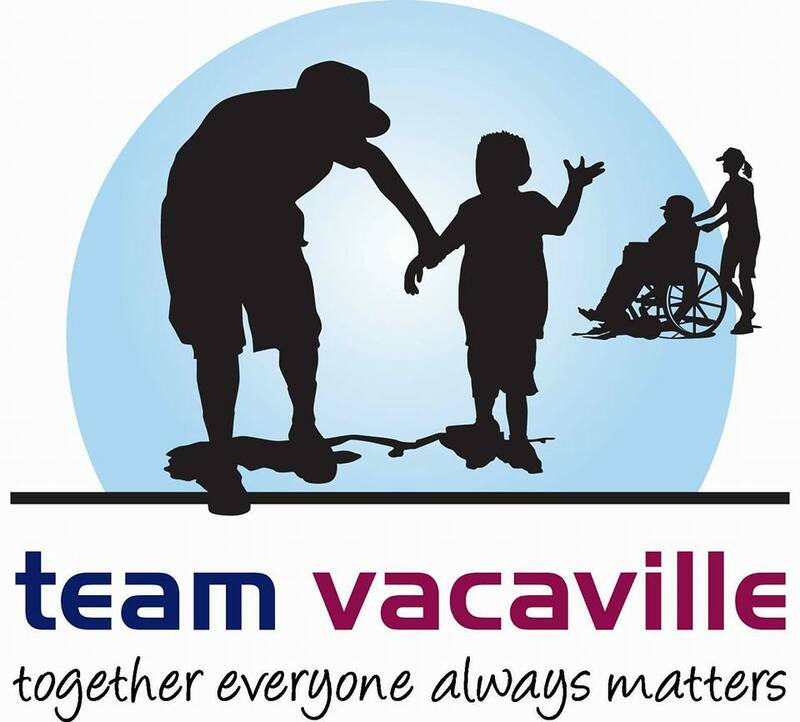 Team Vacaville is a local non-profit organization that pairs youth & community members with special needs children in the Vacaville area. During their time together our special needs youth will get the opportunity to enjoy sports, outings and other extracurricular activities that they often miss out on. This fundraiser/benefit run will help Team Vacaville raise the funds needed to obtain their insurance and non-profit licensing. Without the insurance and licensing this program cannot operate. Team Vacaville is hoping to obtain all necessary funding and licensing by May 2016 so that our special needs youth can start participating in events starting in August 2016. Fleet Feet Sports Vacaville & Team Vacaville have joined forces to help raise the funds necessary to get this program off the ground. During the benefit run/walk we will take donations and raffle off items to raise funds for this amazing local program. The 5k event will kick off at 6PM and items will be raffled off at 7:30PM. If you would like to donate a raffle item please contact liz@fleetfeetvacaville.com. If you would like to join in the 5k event and raffle please register here. Lets help this amazing cause and show them some Vacaville love!